Some horses may need feed supplements for a variety of reasons and there are a huge number to choose from, available from many different sources. It can often be confusing as to which supplement is best for a particular horse, especially as claims made by the companies producing them are often exaggerated or even sometimes quite ludicrous. Many supplements may not contain the right level of ingredients to be useful and others may not even actually have in them what they say on the label! A huge amount of money is spent on supplements for horses, which is fine if they are doing a good job and providing value but in many cases they are not. We are often asked, as vets, to advise clients on what supplement may be suitable but the myriad of products from so many sources (some of which are more reliable than others) make this very difficult. It is as a result of this that we have selected a number of supplements that we believe provide what is necessary for various conditions in the horse. We have had these supplements branded with our own logo so that you can trust them and feel happy that you are getting a genuine product. By so doing we can also ensure that they represent good value for money. 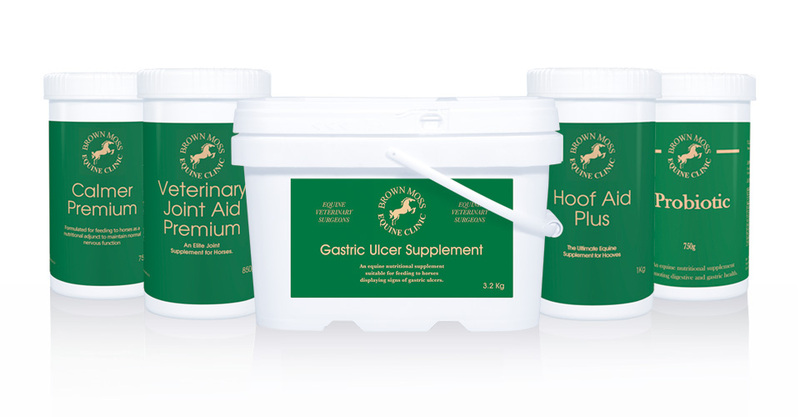 We can also, through our knowledge of these products, offer best advice as to what will suit your horse’s needs. We can normally, at no extra cost, deliver these to your yard. 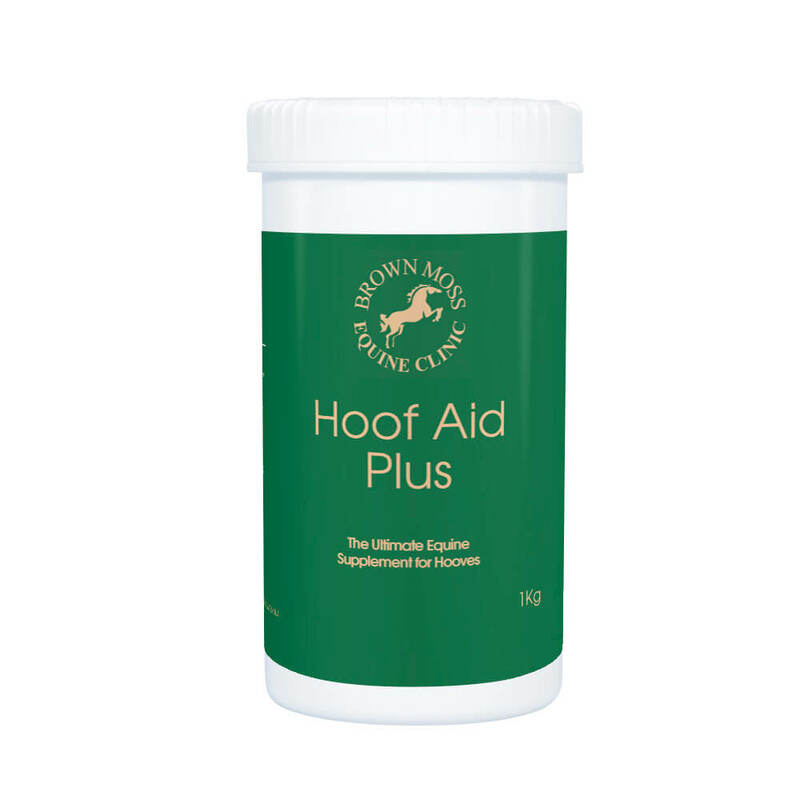 The hoof aid supplement contains all the nutrients that are required to develop and maintain a healthy supple hoof. It contains biotin and bioavailable sulphur which are essential for maintaining the durability and integrity of the keratin that provides the structural matrix of the hoof. It also contains high levels of zinc which is involved in protein metabolism that is important in healing. It is rich in amino acids and calcium which are essential for building protein and building hoof wall. The Joint Aid supplement combines Glucosamine HCl, Chondroitin Sulphate and Bioavailable Sulphur aimed at increasing the levels of glycosaminoglycas (GAGs) in the joint. GAGs are the building blocks of cartilage. The Chondroitin Sulphate acts as a ‘water magnet’ in the joint allowing it to withstand constant compression and concussion. Joint Aid therefore provides the necessary ingredients needed for maintaining healthy cartilage, slowing diseases such as osteoarthritis caused by general wear and tear of the cartilage within the joints. The Probiotic contains high levels of natural probiotics and prebiotics. This helps to maintain a healthy gut environment, assisting the microflora and improving digestive efficiency. 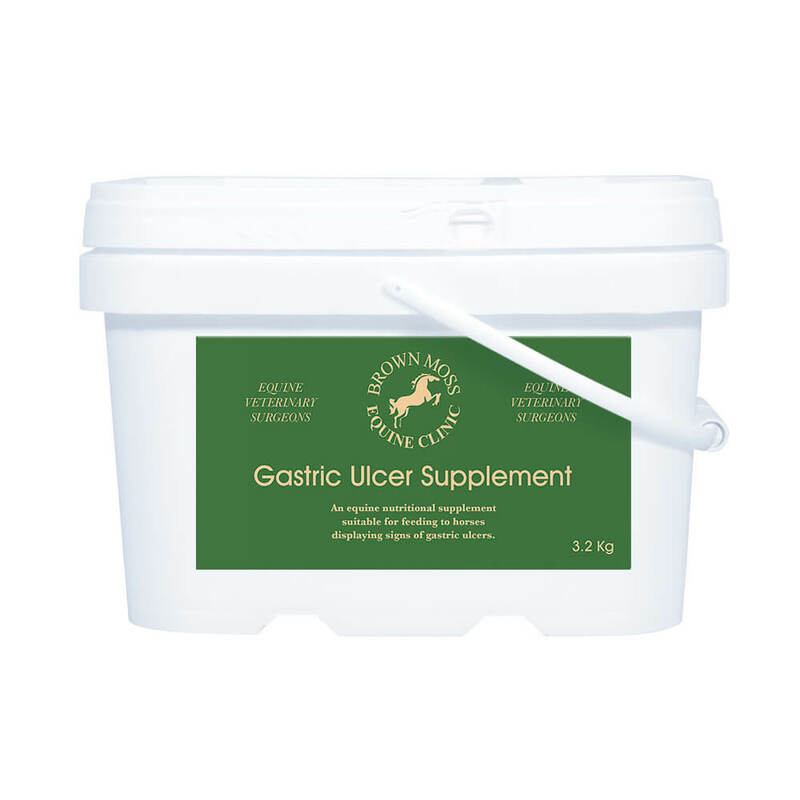 This supplement is aimed at horses who are prone to gastric disturbances. It helps to maintain optimum gut health and function. It contains prebiotics, amino acids, seaweed and minerals aimed at recovery of damaged digestive tract tissues and maintenance of existing healthy tissues. This is Calmer containing L Tryptophan, Magnesium, and live yeast Saccharomyces cerevisiae. It is designed to aid normal nervous function. L Tryptophan is associated with Serotonin production. Feeding Magnesium to nervous horses helps to re-establish balanced Magnesium-Calcium levels. S. cerevisiae enhances the activity of fibre digesting bacteria in the large intestine, assisting the maintenance of a normal pH within the hind gut, and thus improving both the general health and welfare of the horse. For full details and ingredients of all the range of Brown Moss Equine Clinic products.